One of Canada’s top sales associates, Della launched her career over 12 years ago and has been providing total dedication to her Northern clients ever since. The result? A loyal clientele, an impressive list of achievements, and now co-ownership of a leading real estate firm. Della is a fully certified REALTOR® and a Registered Relocation Professional for DND and Federal Government employees (Brookfield Federal Government Integrated Relocation Program). Della’s unwavering commitment has propelled her to the top of her field. She has listed and sold over 800 properties in Yellowknife since 2008 and has helped Coldwell Banker Northern Bestsellers become the number one office in North America (for size). To each and every client, Della devotes time, energy and strong negotiating skills. Having lived over 37 years in the Northwest Territories, Della has in-depth knowledge of all aspects of life in Yellowknife and her network is extensive. Her experience and intimate market knowledge mean you can rely on her advice. Della is honest, straightforward and takes a ‘no pressure’ approach. Della takes the time to really listen and then puts her best efforts into meeting your needs and making your real estate transaction a rewarding experience. She leverages a winning combination–her strong entrepreneurial and marketing skills with a ‘can do’ attitude–to get results for her clients. Della’s amazing work ethic, creativity and professionalism sets her apart in the Yellowknife real estate market. Della thrives on helping her clients experience the joy of home ownership. Whether buying or selling, you can be confident that Della will always represent your best interests. The initial idea of renovating my condo and putting it for sale seemed to be a daunting task with my tight timeline. In the end it proved to be a (relatively) stress-free endeavour with the help of Della and her Coldwell team. Della helped guide me through the process on her very first site visit by providing insight into what her clientele are looking for in a modern condo. Some suggestions included paint colours, interior door styles and fixtures. When I ran out of time she was also there to suggest a great handyman (Robert) to help finish and take over my project after I left town. In the end Della had some amazing pictures taken, had a successful open house and had the condo sold in just two days! What can I say aside from the fact she's the best! Della's a great resource to reach out to when needing someone to bounce ideas off when prepping your home for sale. Thanks again Della! Della was an amazing realtor to work with. She took the time to really look at our house and listened carefully to all the renovations that were done. She was creative in her approach to selling and was there to support us throughout the sale. We would absolutely recommend using her for selling or buying a home. As a first time home buyer I was not sure what to look for in a house and what pricing was reasonable, especially in a northern community like Yellowknife. Della Fraser did a fantastic job answering all my questions and providing advice, while taking into consideration my needs/wants in finding that perfect home. Della went ABOVE AND BEYOND what i could have ever expected. Once I found my dream home Della made sure that everything went smoothly and she kept me up to date throughout the entire process. I would highly recommend Della Fraser as your realtor for your next home purchase; you will not be disappointed. As many of you reading this know, many Military, RCMP and government workers and others alike will come and go through the North as we did. What made a piece of our transition out of the North seamless and less stressful was dealing with Della when it came time to selling our home. Being under a tight timeline, we had expressed to Della that we had to sell before the end of June as we were proceeding to Atlantic Canada and were planning to purchase a home there. Needing the equity we put into this home to purchase our home on the east-coast, Della put our mind and worries at ease when she assured us that it would be done and also in accordance with our employers movement policy - which by the way she was very well educated on; Della was simply on top of the current policy so there were no surprises and no mistakes. Knowing that we were anxious to sell so we could proceed on our house hunting trip out east, Della made us her priority. Before we knew it, Dustin was here taking professional photographs that were posted on the website and on MLS that evening! Our home was priced right and marketed by this brilliant entrepreneur that captured the right audience. This resulted in the ball rolling quickly and within 2 days we had 2 showings scheduled! Much to our surprise, Della presented us with two offers from these showings and our home was officially SOLD in three days! SOLD in plenty of time for us to proceed on our house hunting trip and prepare for our move without the stress of feeling rushed. There are almost 16 moves between us with our time in the Canadian Armed Forces and truth be told, this move was by far the best experience to date! Della was not only confident and knowledgeable but she was EXPERIENCED and PROFESSIONAL. I emphasize on the word ‘professional’. Della is a true business professional and her pride in that is evident. I always caution our friends of how you are approached by people you may or may not know who offer you their business. If it seems relaxed or loose, that is how the sale/purchase of your home is likely to be treated. Buying or selling in the North isn’t like down south - wouldn’t you rather deal with someone who has a flawless and solid selling/buying reputation? We are so glad we went with the best! We wouldn’t recommend anyone else to friends or family other than Della! Simply put, if you want to deal with a real professional and a true entrepreneur that is dedicated to her clients, why look anywhere else? Thank you Della for everything; we will never forget you! Having Coldwell Banker in Yellowknife work for me literally took all the burdens of a house sale off my shoulders. Their knowledge of the market and their expertise handled every aspect of the sale; even unanticipated problems were handled quickly with no fuss. Once I put the sale of my house in their hands , I was able to sit back worry free until it was time to sign the purchase agreement. I sincerely recommend listing with Coldwell Banker as they provided sound advice every step of the way. Special acknowledgment to Della Fraser whose professionalism went above and beyond all expectations. I would highly recommend Della Fraser as your real estate agent. Her calm professional manner and knowledge of the Yellowknife real estate market helps extremely when selling your house. Della has vast experience in establishing marketing plans, arranging for the best photos that show the real estate and how to stage the property for the best results. Della's communications skills are outstanding; email, text, phone, or fax, by continuing to keep us informed regarding open houses, viewings and the final for the sale of the house. This house was on the market for a few weeks and offers were received from the first open house and subsequently sold. Della has extreme strategic ability in serving the Yellowknife real estate market and we would list for our next purchases sales in Yellowknife. We have been in Yellowknife for many years and over that time we have worked with all the major Real Estate companies in our community. 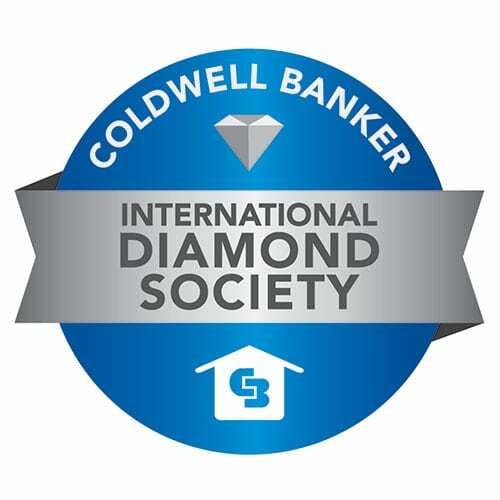 Never have I been as impressed with the level of communication, caring sales approach and follow through as I have been with Coldwell Banker and Della Fraser in particular. Selling your home is not an easy journey; mentally it can be a hard process. Della took care of all our families concerns and went beyond our expectation on all levels of the sale. She was knowledgeable, informed and was there when we needed a question answered. I really felt that I had an advantage using Coldwell Banker and Della to sell my house and I was right. I have and will continue to send as many clients to Della as I can. She is a one of a kind realtor and someone that I know will take care of those families buying or selling here in Yellowknife. Thanks again Della; I couldn't of done it without you and the team at Coldwell Banker. At first my wife and I were just showing up to open houses trying to find our first house, but of course this is the completely wrong approach. After a lot of frustration and disapointment we contacted Della, it was the best decision we ever made. Della helped us find the perfect house and within our comfort price range. Della's "no pressure" approach along with her honesty, knowledge and professionalism helped make our experience so easy and stress free. I would, and have recommend Della to anyone buying or selling a home in Yellowknife, Della will be our only real estate agent as long as we live in Yellowknife. Thank you Della!!!! Della listed and SOLD my home in only two days! She made the whole experience very easy and stress free. She was positive, honest and professional. I recommend Della to all and will absolutely use her services again in the future! Della was amazing to deal with, she listened to what we wanted in a home and found exactly what we were looking for. She guided us through our first home purchase and made the whole experience relatively easy. We were made confident through the whole process and trusted Della's experience and guidance. We recommend Della to all out friends. I purchased my home at 135 Stinson Road. The real estate company was Coldwell Banker and my agent was Della Fraser. I knew that buying a home is an important decision and that it did involve some degree of stress. After all, it is not an overnight decision committing to spending several thousands of dollars and deciding exactly where you want to reside. To alleviate my pre purchase concerns I had applied for a pre approved mortgage. The home that I was interested in was being sold by Della Fraser therefore she was the agent I contacted. Immediately upon meeting Della I was impressed with her genuine honesty, knowledge of the industry and of the legalities involved, her nonpartisan approach (after all she was working for both the seller and the buyer) and her overall professionalism. As this was only my second home that I have purchased in my life and it had been several years between purchases, I greatly appreciated Della's wisdom and guidance throughout the entire process. Della made sure that all of my i's were dotted and that my t's were crossed. Two weeks prior to the closing date of my home purchase I will politely say "all heck broke loose". Unfortunately I am not able to disclose the exact quandary I was suddenly placed in due to the legalities involved but can suffice it to say that Della Fraser was the most amazing person to me when I was on the verge of a serious BREAK DOWN. If it was not for Della's calming guidance and understanding of the industry I would be writing a very different testimonial. Della goes ABOVE and BEYOND what is expected of a real estate agent. She was extraordinary and so is Coldwell Banker. They are certainly not just in it for the money but Customer Satisfaction can be at the top of their list. I highly recommend Coldwell Banker and Della Fraser to take care of all of your home buying needs and then some. She is truly a gift to any buyer or seller. As first-time home buyers, we had some anxiety and were uncertain of how the whole home buying process worked. Della listened patiently to our initial needs, and responded to all of our requests in a timely manner. When we found the exact home we were looking for, Della worked very quickly and professionally to ensure we were the successful buyers. Della was genuinely interested in our every step of the process, she was very knowledgeable, organized and honest. She really gave us the advice we needed to make the right decisions. We would recommend Della to any potential buyer or seller and definitely use Della again if we are either in the market for buying or selling our home. Selling your house is tough work and having someone to take care of all the details, questions, negotiating, inspection reports, and most of all communicate the process is so important. Della has successfully sold two house for our family - getting the best possible outcome both times. Without Della and Coldwell Banker we would have been uninformed and at a loss for sure. I have and will continue to recommend Della to Yellowknife (and the North) friends and family when the time comes to sell their houses. she is a true professional and straight shooter.